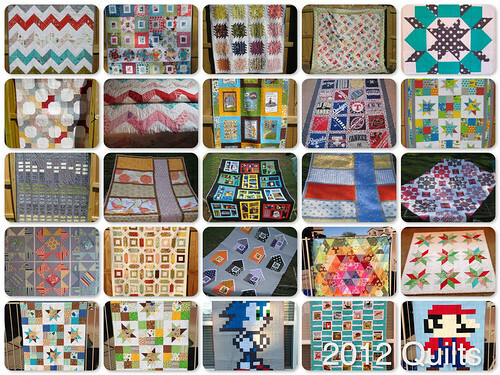 So I am a few days late with this but here are the 25 quilts that I completed in 2012. Think through how completely insane that statement is! That is 1 quilt every two weeks! I don't know how I have managed that many and held down a job and not burned my house down. Derek would say its because I am a sweatshop. So here's to an equally productive but not so insane 2013!